Hi Guys today i am coming to write in very interesting subject for any DBA and DB analyst , any DBA should be care from more things one of this is Database design for this database design we should take care from heap tables and this one of the steps of Database assessment to check all heap tables and fix them by creating new Clustered index. 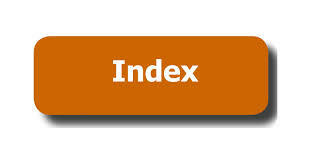 based on that i write one script to return the tables with more information then i will filtered it to return only the tables without any index then i will loop on this amount of tables to create dynamic statement for Create cluster index for each table. 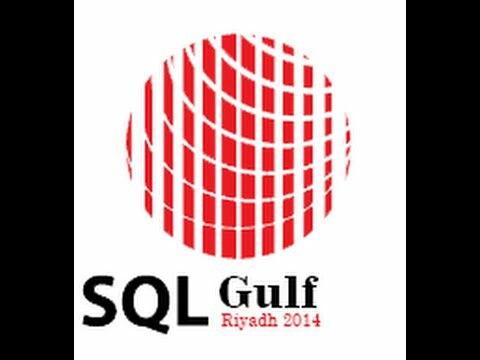 If you check the massage you will find the T-SQL print for the Creating of Clustered index for the three tables. Just creating a clustered index for the first column of the table without any analysis of the table / data / application behaviour is a horrible idea. Hi Mustafa, you can probably create this script without needing to use a cursor. 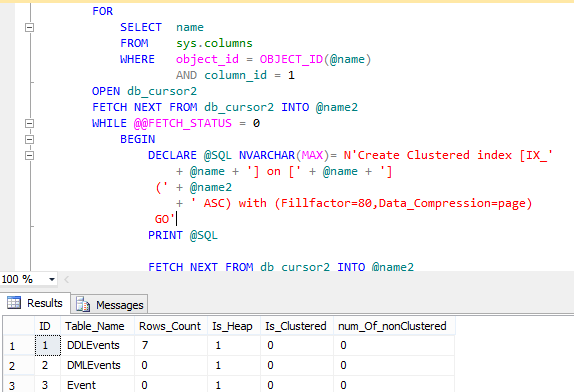 If you take your existing temp table and then join it to information_schema.columns. You could build it right on the fly.